Forgiveness is one of God’s most powerful forces in the lives of human beings. 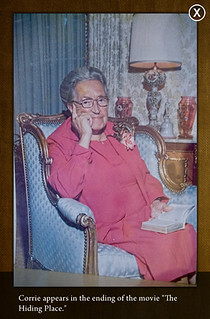 Corrie ten Boom did – will you? I read The Hiding Place in high school and it made a lasting impression on me. The Ten Booms were such a blessing and so brave. Thank you for reminding me, it is time to re-read this book!